The practice of party-based local government election is not new as the system is being practised in different democratic countries, including India and Pakistan in the subcontinent. The proponents of the party-based election were of opinion that no citizen can be or should be neutral while exercising their rights to choose their representatives. Even during a non-partisan election, the voters are driven by their political philosophy or other reasons that prohibit them to act without any bias. Thus, the question remains as to determine how the system would be applied in different country context and what would be its impact on the practice of democracy in a country. Like different countries of the world, the government of Bangladesh introduced party-based local government election in different key positions of different tiers of urban-local government bodies in 2016 in pursuant of the cabinet’s decision to hold local polls on the partisan basis on October 12, 2015. Accordingly, changes were brought in different local and urban government laws. Precisely, election to the post of chairman of the Union Parishad, Upazila Parishad, Zila Parishad, Pourashava and City Corporation is held on the party symbol. During that time, it was one of the strategies of the ruling party, the Bangladesh Awami League, to demonstrate its popularity at the grassroots level through these elections while it was branded as a political will of the ruling party with ill-motives by the main opposition Bangladesh Nationalist Party. Of course, the government kept the provision intact for those who intend to contest the election as an independent candidate. Whatever might be the cause of the introduction of the party-based local polls, this is fairly a new system in Bangladesh as those elections were held previously in a non-partisan manner. The main intention of this write-up is to highlight the gains and pains of the new system. When it concerns gains of this decision of the government, one could argue that the system would create an avenue for political competition within the political parties. This will facilitate the process of the development of leadership at the local level. One of the arguments was that even when the election was held on a non-partisan manner, political parties used to provide an informal nomination to the candidates in these posts. But political parties were not accepting liability when their candidates fail to get elected or do something illegal and immoral on the ground that they are not directly nominated by them. From this perspective, the new system has created an environment where the political parties would have to bear the liabilities of the nominated candidates. This will certainly strengthen the system of accountability in the political parties. On the other hand, there are a number of pains that have already been discussed among the academicians and the development practitioners who are working in the local governance. First of all, the system of nomination has created an enormous amount of scope for the local political leaders to get involved in corrupt practice. If we recall the memories of the 2016 Union Parishad election, there were thousands of indicants of selling of nominations by the leaders of the ruling and opposition party. The number was comparatively high in the case of ruling party leaders. In many places, there were allegations that the local MP sold the nominations to non-deserving candidates in exchange of money or in order to strengthen his political base at the local level. In this process, the deserving candidates were deprived of getting a nomination. The way the nomination process gets completed is creating conflict among the local political leaders. Thus, political parties are getting fragmented centring the issue of nomination of candidates. There are hundreds of instances that someone having no competence and leadership quality manages to get the nomination if he/she remains in the good book of the local MP or maintains a good relationship with the local power structure of their respective party. This system is also weakening the party organisation as many candidates are contesting election against their own party nominee. The introduction of the party-based system has put the ruling party in an uncomfortable situation during the 2019 Upazila Parishad election. Since the BNP has decided not to take part in any election under the present election commission, a good number of candidates have already won the election uncontested. This has also happened in case of recently held Dhaka North City Corporation election as the absence of the candidate from the main opposition created a sense of apathy among the voters to exercise their voting rights. Had the government not introduced this system; BNP’s candidates would have contested the election since they were not required to take the formal nomination from the party. Thus, the interested local leaders would not have suffered from the fair of being expelled from the party if they contested the election. The government would not have been criticised on the ground that the election is not inclusive. It does not mean that none of the BNP candidates is contesting the election, but the number is very few. In most cases, AL’s nominating candidates are contesting with their own rebel candidates. This is not at all good for the overall party discipline. Moreover, the voters are getting deprived of exercising their voting rights in those Upazilas where the ruling party candidates have already elected unopposed. Another dimension of the party-based election is that it is creating an enormous amount of power distances at different tiers of urban-local government bodies. Since in most cases, the ruling party leaders with a strong political background are getting elected as chairmen and mayors of different tiers, these people would not care for the opinions of other members and councillors of the Parishad. Thus, there is a possibility that these local government bodies would turn into a post box of the political parties where everything would be considered from the political perspective. This would have a serious implication on the service delivery process of these bodies due to the practice of a patron-client relationship. Delivery of services on political consideration would keep the real beneficiaries away from the process. This would certainly hurt the ruling party in the long run. The introduction of the party-based local polls in not bad, but it has to be practised efficiently by the political parties. Otherwise, there is a possibility that the ruling party would get fragmented. In the recently held, Panchayat election in West Bengal, India we have learnt from different newspaper sources that 25 per cent of the candidates were prevented from filling their nomination by the armed cadre of the ruling Trinamool Congress. Moreover, around 33 of the seats were won unopposed. If this happens in India where the Election Commission is non-partisan, what will happen in our system where there is wide-ranging criticism against the Election Commission in Bangladesh? Thus, all political and administrative actors should behave positively for saving the local government bodies from further deterioration. 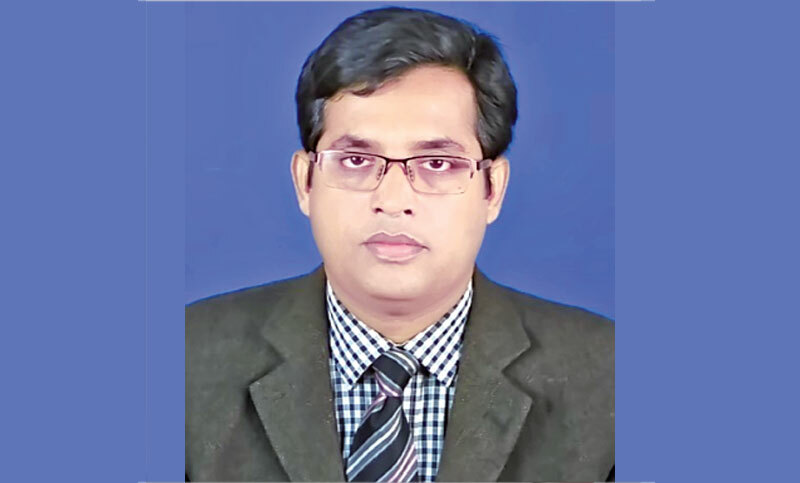 The writer is a Professor of Public Administration and an Additional Director of the Institutional Quality Assurance Cell (IQAC) at the University of Rajshahi.